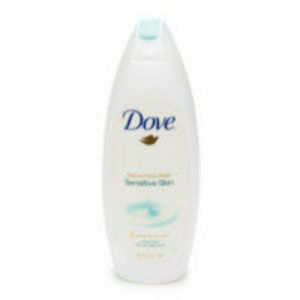 Recently started using the sensitive skin Dove because it's winter and my skin has gotten even more sensitive than it normally is and I had a small travel size bottle of this in my bathroom. Loved it so much I went and bought the full bottle. My fiancé and I both use this in the shower every day and LOVE IT! 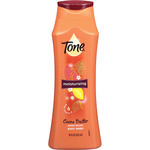 It feels good on your skin, it lathers nicely, soothes your skin, and smells really nice and clean but not overpowering. 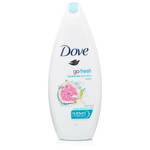 My whole family uses dove body wash. Not only does it smell great itz moisturizing and gentle on our skin. I don't get Dove awhole lot due to how much it cost. Usually when I do buy Dove i buy the body wash! It leaves my skin feeling smooth & smelling GREAT. I don't have to lotion my body after getting out unlike others body wash. I was given this soap out of someone's stockpile and now I am in love with it! I feel clean and fresh after using it, which is everyday. I have even used it when taking a bath. Any soap with a fragrance throws off my Ph balance, but I use this soap with no worries. My husband was breaking out with the last body wash we tried so we switched to the Dove sensitive skin body wash. So far, very much improved. It has a nice smell too. I love most Dove products, it's just that they can be a little pricey. The doctor also recommended this for our 2 year old with eczema. When my daughter was born she was plagued with very sensitive skin. She would constantly break out from new soaps, lotions, laundry detergents, you name it. Her dermatologist actually recommended this soap for her. I thought yeah right whats different with this soap from all the baby soaps taht are suppose to be highly recommended. The difference was it worked. There are no harsh chemicals and scents put into this soap that had a negative effect on my daughters skin. It worked. That is what was different. I certainly and highly recommend this brand! It worked for us and it could work for you to! Only soap that doesn't break my skin out . I use as a body and a face wash.